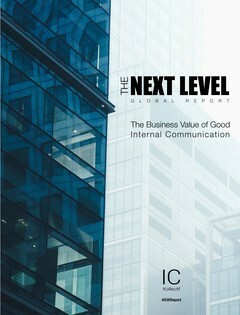 New global report, The Next Level, examines the practice of internal communication inside companies, how business leaders perceive internal communications, and how practitioners can better position themselves as trusted advisors and key business enablers. SnapComms is key sponsor of this research report prepared by IC Kollectif, the first of its kind. The findings draw from interviews with over 30 in-house communication professionals and executives from 25 countries and 20 industries across the world. 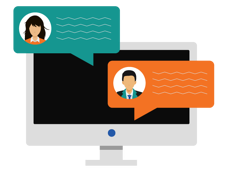 Also featured are contributions from teachers and researchers, the results of a global open-question survey, testimonials from C-suite members, and a review of published surveys and research. “We’re very proud to be associated with this enormously valuable report,” says SnapComms CEO, Chris Leonard. “This is a truly unique insight into the state of internal communications worldwide. It’s a revealing look at what’s happening now and a fascinating study of where the field is going. ‘The Next Level’ includes detailed information on the world of internal communications today – perceptions, realities, best practice and the future.